Every now and then I will post a small paragraph and pictures about a place in Lebanon that I recommend for tourists (next year?) to visit. 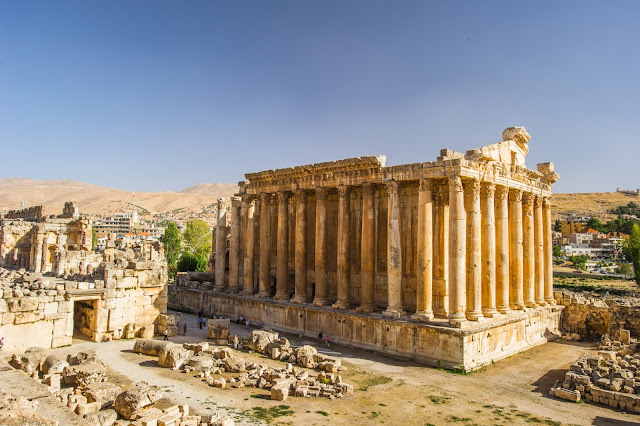 I will start with the famous Baalbek ruins, where the special Baalbek International Festival happens every summer, with an exception this summer 2006 due to the war between Israel and Hezbollah. Description: The Temple of Jupiter in Baalbek, Lebanon, was the largest Roman temple ever constructed. Although much of the temple was destroyed under the Byzantine Emperor Theodosius, 6 of its original 54 columns still stand today. First established as a holy site by the Phoenicians, Baalbek, once known as Heliopolis, became a Roman colony in 47 B.C. There the Romans constructed three temples in honor of the gods Jupiter, Venus, and Mercury. The complex that includes the well-preserved ruins of these temples is a major archaeological site in Lebanon. Description: The Temple of Bacchus, which many historians consider the best-preserved Roman temple of its size, is part of Baalbek's immense semiruins. Its peristyle of forty-two unfluted Corinthian columns (nineteen still standing) embraces sturdily preserved exterior walls. The approach to the cella or worship room proclaims grandeur with its powerful scale...The inner side walls of the nave are divided into bays by projected Corinthian half-columns to produce a series of superimposed niches, round-headed below, angled (pedimented) above, the latter originally with statues. The temple was roofed with cedar trusses." "The temple, however, is but a single aspect of the vast complex. Baalbek is unequaled for boldness of concept and skill in utilizing Herculean masonry." — G. E. Kidder Smith. Looking at Architecture. p34. Don't worry I will not only post archeological sites, for all night life lovers, beach lovers for swimming and getting a tan or having adventures in nature and doing activities.. I will post some pics and small descriptions! And also winter pictures and snow, for Ski lovers and when is the best times! Too bad Baalbeck is situated in the midst of a Hizballah garbage heap. In order to get to the architectural and archaeological gem that is Baalbeck, one has to wade through towns upon towns of rancid festering Shiite neighborhoods. That is what is so hearbreaking about Lebanon: you have those Lebanese who value Lebanon's ancient heritage, and you have others to whom ANYTHING that came before Islam is not worth keeping, let alone protecting. So yalla, let us burry Baalbeck (and other testimonies to Lebanon's millenarian history) with human garbage! Because all that matters is Allah and his idiotic party. 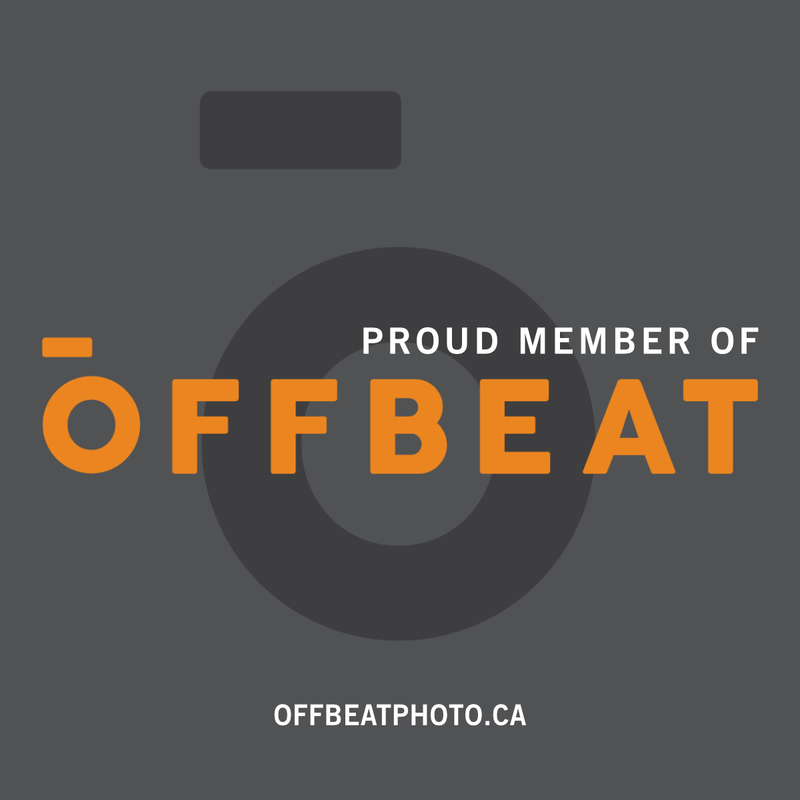 Enjoyed your photos so much. I have lived in Lebanon for 2 years and have been evacuated. I am not able to return immediately, so your wonderful pictures have been a great treat. I have many photos just the same. Thank you for your kind words. I will try to keep posting pictures from all around Lebanon. 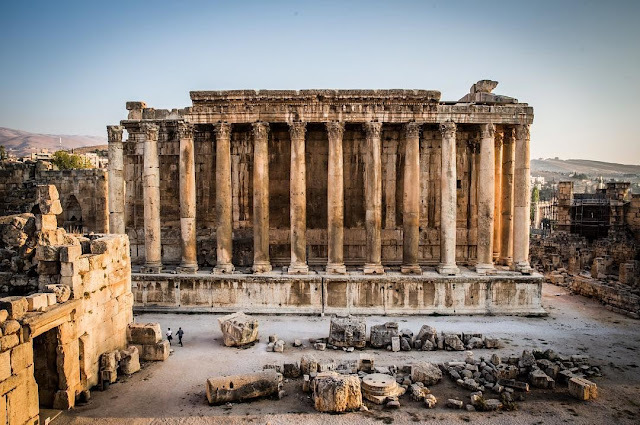 Thanks for posting this post on Baalbek. I was born in Baalbek and know it very well as well as the temples and its people and they're wonderful. I don't live there anymore. I am a fully westernized ex-Baalbek native. So let me correct a minor detail. The temples were not destroyed by the Byzantine emperor as you mentioned. 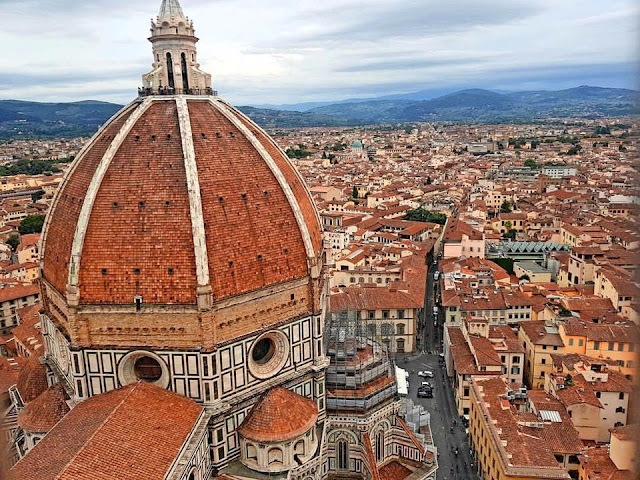 It was destroyed by a powerful earthquake that could be equivalent to a size 11 on the Richter scale, which is like the same effect as an atomic bomb explosion. The earthquake happened in the year 555 and it destroyed all the cities on the eastern Mediterranean coast including much of Beirut, Tripoli, Sidon, Acre and others. Baalbek was left desolate for over 70 years following that event due to the fear of the people of the destruction that ensued. Finally I hope that you remove the racist comment by the other anonymous. For even though I am not a Hezbollah supporter, I do have relatives and acquaintances that are in Hezbollah and some of them are quite influential. So the deal here is for you to remove this bad comment in exchange for peaceful visits to Baalbek enjoying the beautiful city and its ruins with the full protection of the mighty Hezbollah cadres. Otherwise, some Hezbollah member from Baalbek may see it and he may not be as welcoming to your prospective visits. But, of course you could keep that comment at the cost of having to stay away and to be associated with racist bigots who use your site to spew their hatred. I would say the last option is a bad deal which ever way you look at it. That's like a forgotten post. Thanks Anonymous of 13/7/2009 for your clarification, in fact I took that from National geographic, they are supposedly a good source, now am having doubts! As for your second part, I am not sure if that was a sort of threat or just an honest advice, am not sure why should I delete the comment you told me to delete, I usually don't delete comments, people are free to express their opinions, such an opinion exists. I don't necessarily agree with it, and I don't think allowing such a comment on this blog forbids me from visiting Baalbeck, the two things are not related in my opinion. I truly hope it doesn't offend anyone, but if it does, it's a comment an anonymous wrote. Plus, I thought Baalbeck is for everyone, even if I am not from Baalbeck, does this mean someone else can stop me from visiting a place I consider to be a great legacy for Lebanon? No, it was not a threat, even though the outcome may be the same if as I said some Baalbek hezbollah member gets to see it. He/they would still associate you with that comment for the simple reason that you should be mindful of racism taking place under your eyes, otherwise you would be assumed to be condoning it. The logic of the post war reaction does not justify your argument either, actually it may even make you look worse in their eyes. The comment was meant as a heavy handed 'humor' to draw your attention. True Baalbek is for everyone. But we know at the moment they have control over it and it is their turf. Neither government nor army can do much to change facts on the ground. So we have to live by the rules of realities. And apparently you succeeded in drawing my attention!